Pao Xiang? 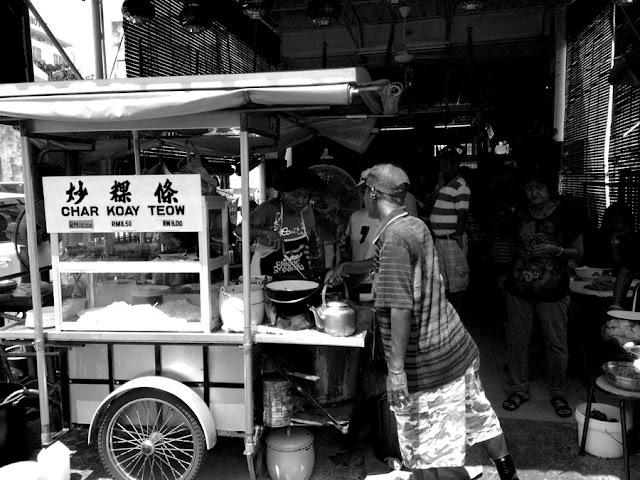 Another Bak Kut Teh shop that everyone knows.. It's just another chain BKT from Klang. Their menu is really limited, to only two pages. But I've noticed that they have also tried to serve different things. Like for example, the egg isn't in the menu. They are adding varieties for people to pick from perhaps. They also have the pepper version of BKT which is the Singapore version of BKT. Of course I still prefer the Klang or the KL type. I wouldn't say Pao Xiang is the best, but it's definitely average or above. 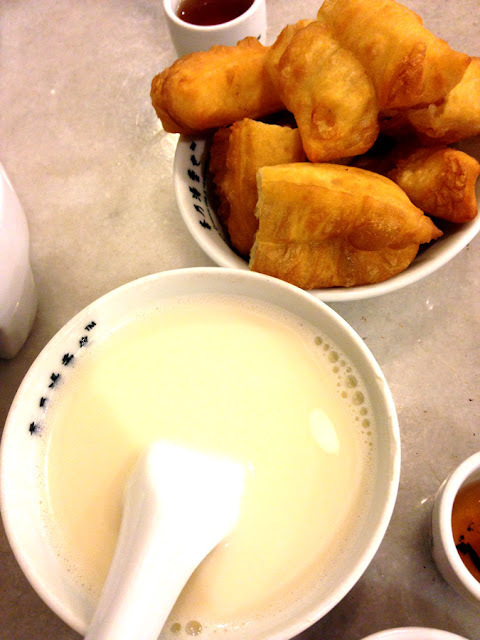 They have always had the Fried You Tiao, nothing new. But recently they are promoting the You Tiao and Soya "in a set". It's not too bad, in fact, due to my recent Soya addiction, I actually love it!! P/S: They do certain promotions as well for cards, the Aeon gives 10% off. My favourite claypot lou shu fun from Murni. 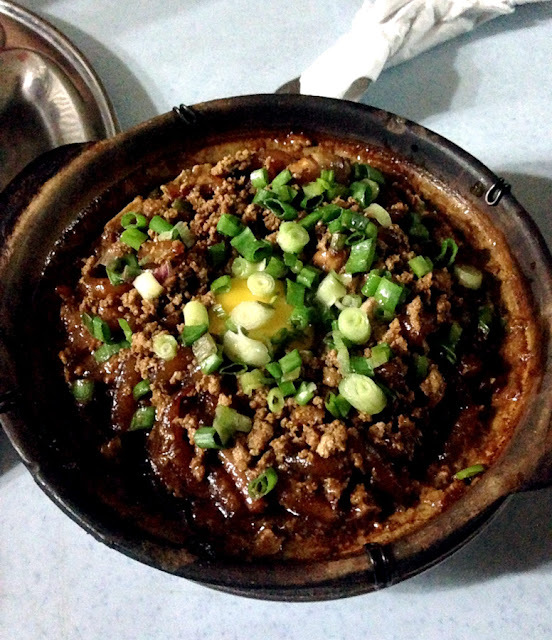 It's just a simple claypot with LSF, minced chicken, raw egg and spring onion. Normal mamak serves the standard food, different kinds of roti canai, mee goreng, nasi goreng. 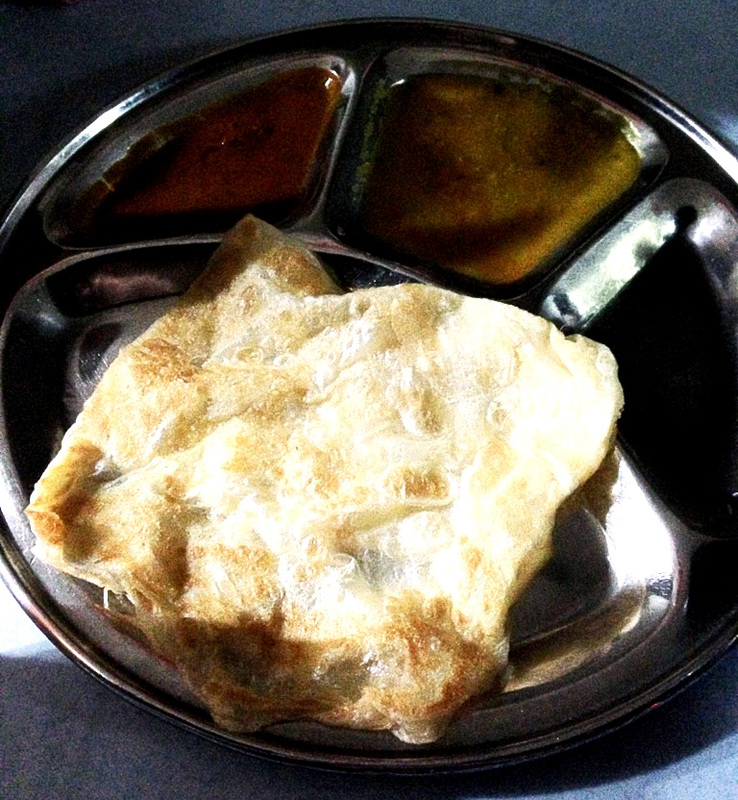 One thing that makes Murni so different is their names of the roti canai, Roti Beckham, Roti Hawaii. I only ordered the Roti Kosong (plain). I don't really like fancy stuff, maybe only Roti Planta or Roti Banana. They even make other things possible. 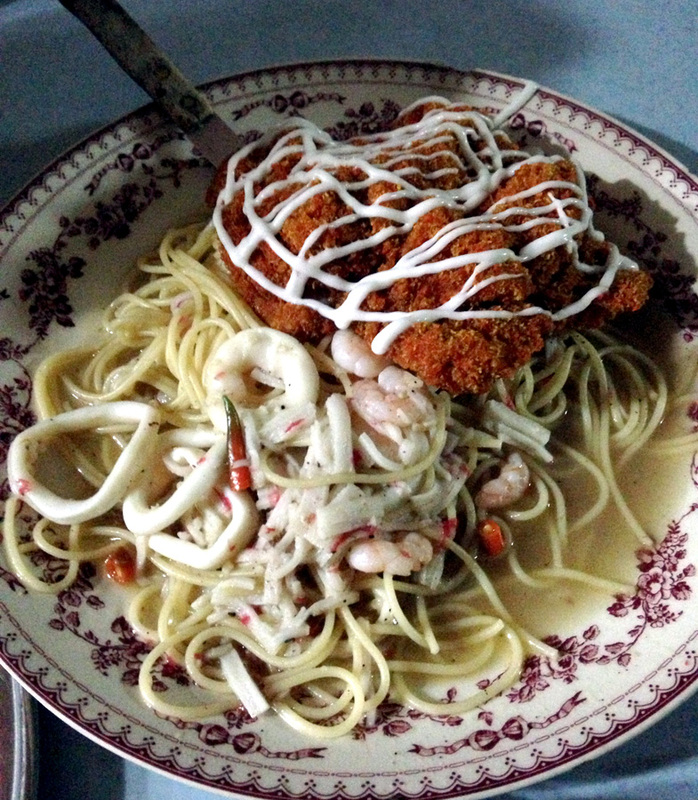 Spaghetti mamak style, seafood, meatballs, whatever you feel like having. 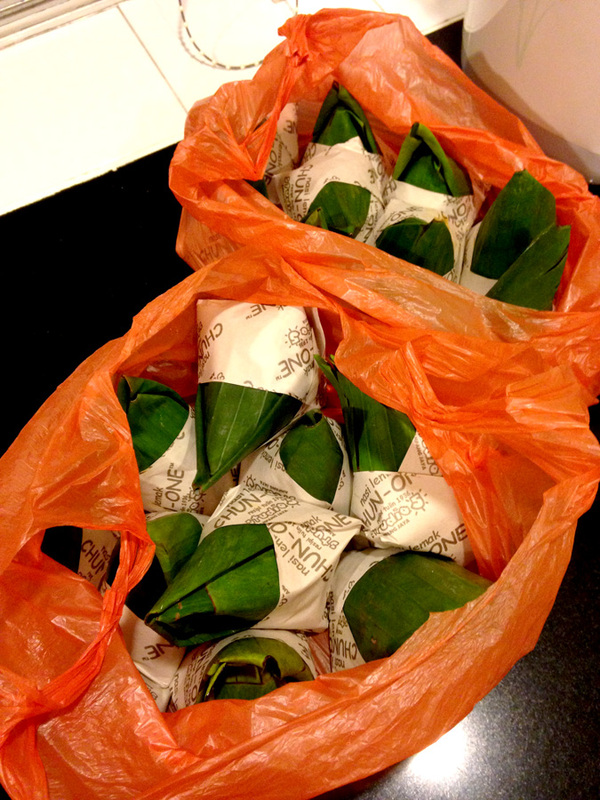 The best thing about being in Malaysia? You can get food at any time of the day ^^. I'm not sure if SS2 runs all day, but it runs till late (that supper spot after clubbing) and closes on Monday. Nasi Lemak Bungkus is cheap, simple and tasty. 10 years ago these would probably cost RM 0.60 to RM 0.70 per packet. Today it costs at least RM 1.20 for one packet. Dear Malaysians.... Don't you miss home already? 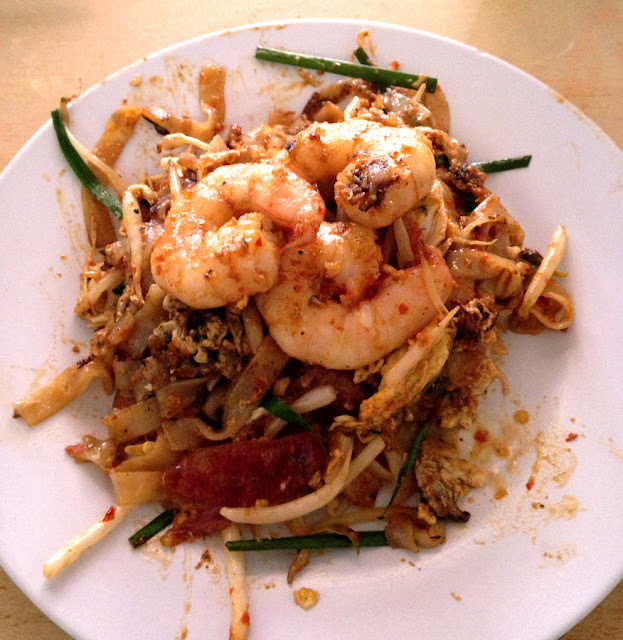 This place is famous for their super expensive Char Koay Teow... RM 10 for a plate!! It's usually RM 4-5 outside but they charge double the price... Of course they don't cheat people with small tiny prawns, the prawns are really huge. Actually this place is just too well-known, there's no point writing too much about it... so I'm cutting this short and simple. Anyway, I think this place is more well-known as the "Penang Lorong Selamat CKT". Looks dodgy isn't it... It sure is. But guess what? 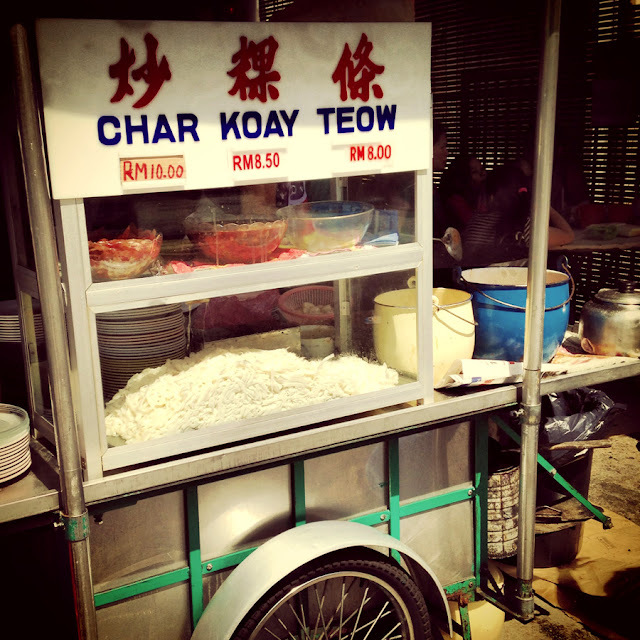 You'll have to wait at least 15-20 minutes for your plate of Char Koay Teow. It's THAT good. I had the extra spicy one, I personally think it's better with chilli than without. Something different about this plate of noodle is the additional Chinese sausage (lap cheong) and the king prawns. Normally you won't see these extra ingredients, you'll only get the usual bean sprouts, spring onion, egg and tiny prawns. Perhaps that's why they charge so much more expensive than the rest of the coffee shops. While waiting for the noodles to arrive, we ordered extras. 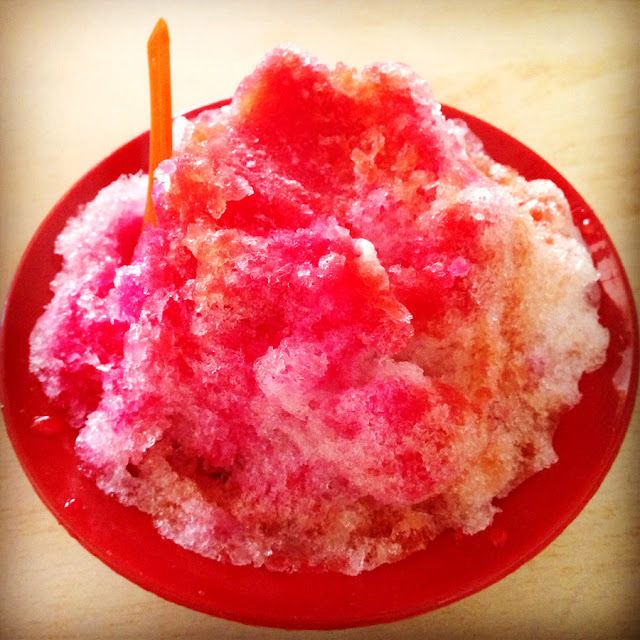 Ice kacang. This is your best friend during hot weather.. It's just a bowl of shaved ice with a mixture of syrup, brown sugar, beans and jelly. 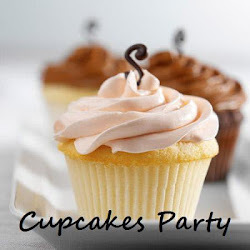 It can be really sweet so if you're not supposed to be consuming too much of sweet stuff then you should avoid. 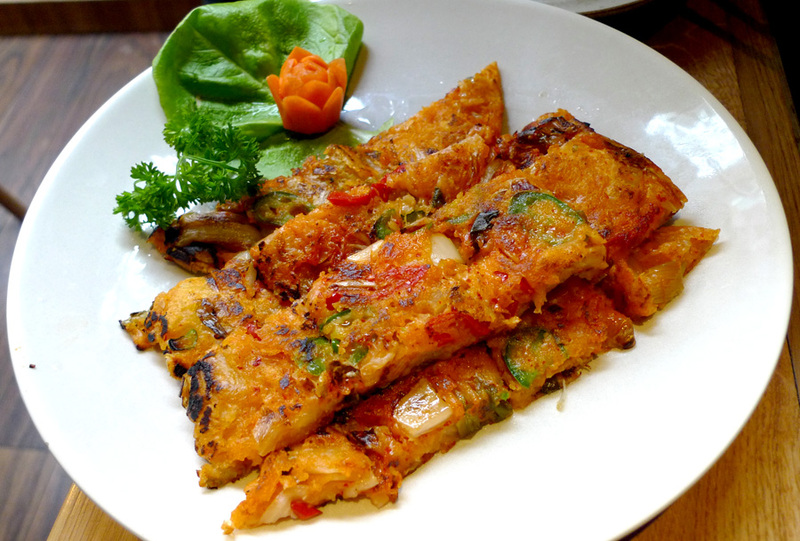 Oyster omelette (oh-jien). I don't know why it's like a must order when you're in Penang. 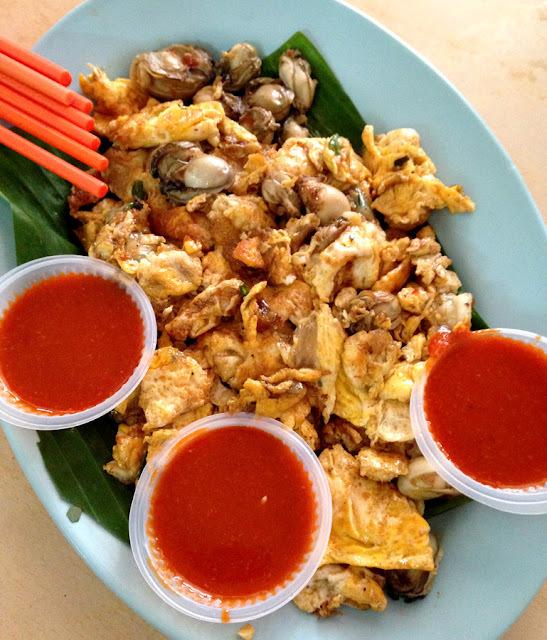 I hate oyster but if it's cooked with egg then I'm fine. Prawn noodle. I was never a fan of prawn noodle but this one totally changed my perspective of prawn noodle. There are pork ribs in the noodle.. Correct me if I'm wrong, I've never seen pork ribs in a bowl of prawn noodles before. Nevertheless it's super awesome and spicy. It'd be better if they use bigger prawns, after all it's "Prawn Noodle" right. 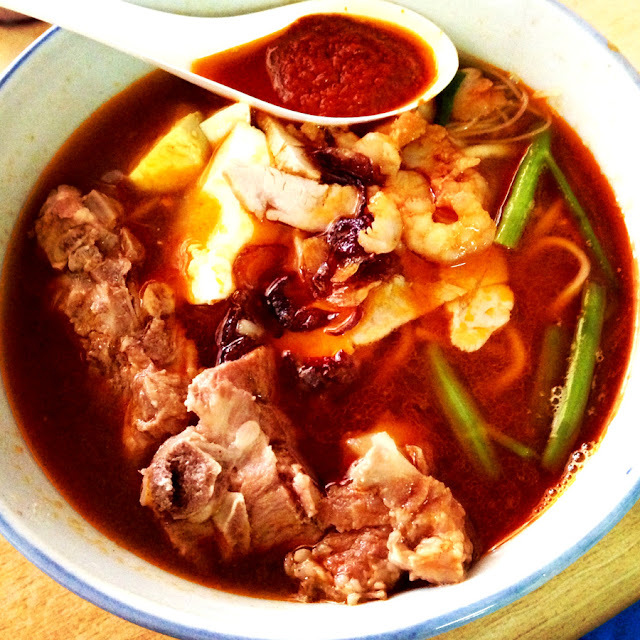 Penang loh bak. It's a Penang cuisine served with special sauce. That one thing that's a must to order is that pork roll. 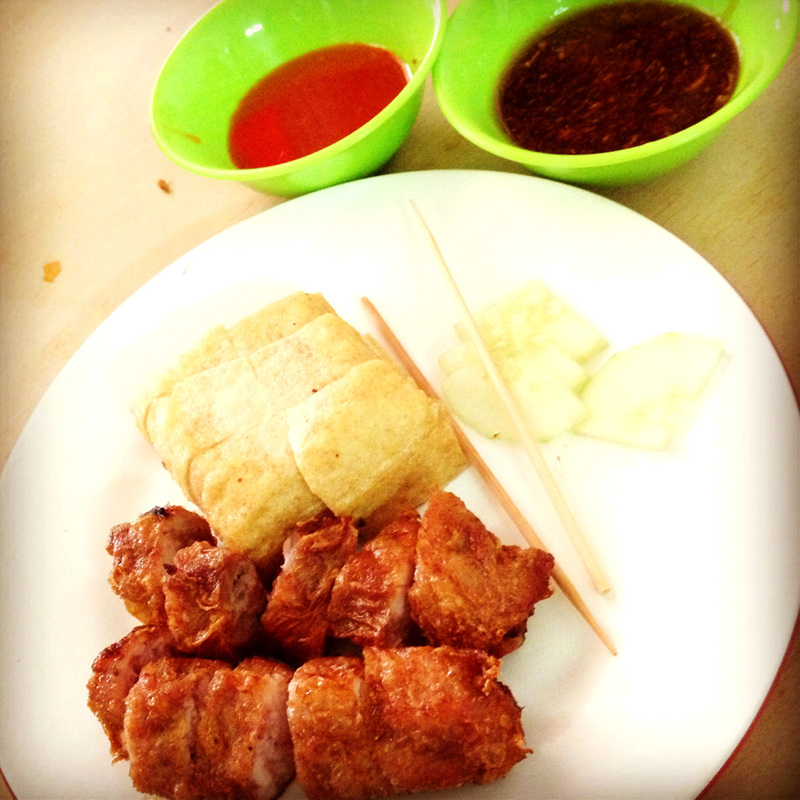 Don't know what's a good loh bak, pretty much tastes the same to me... Not in a bad way though. Rojak. Mixed fruit and vegetable. 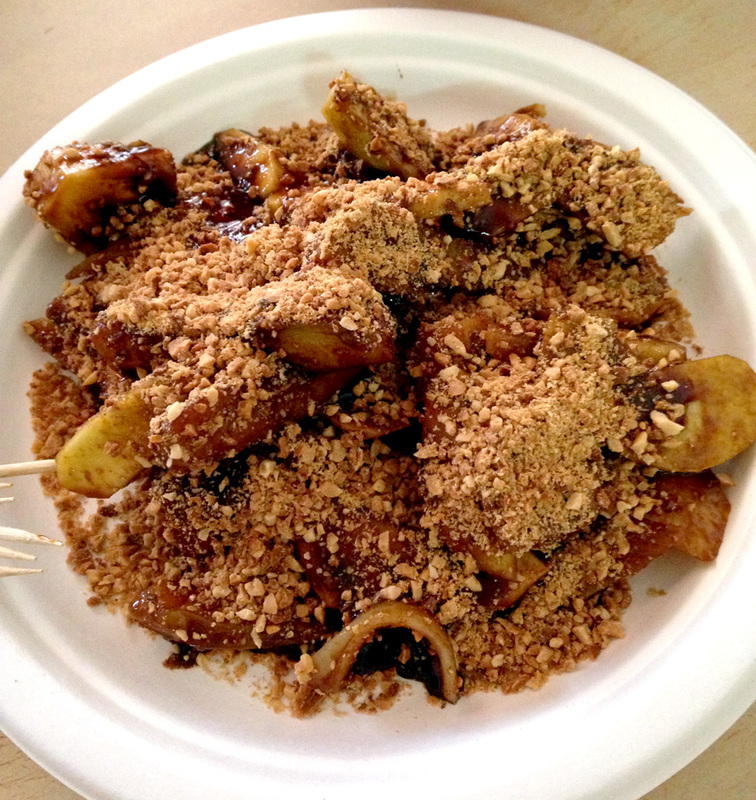 That sauce used in the rojak, is called the rojak sauce perhaps. It's just a special sauce specifically for this salad. 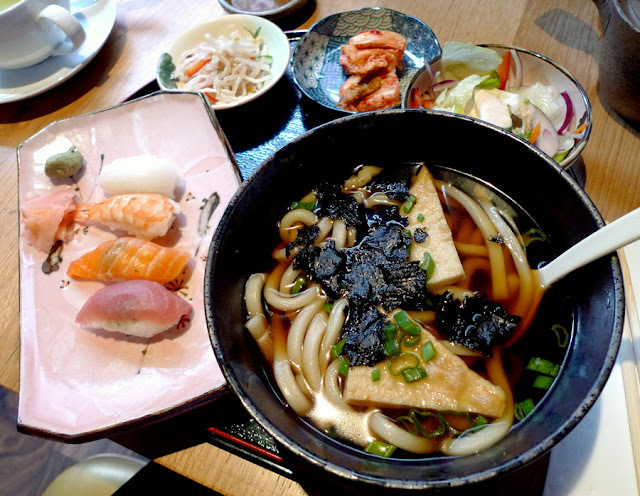 So far, one of the best udon I've tasted in London. There's always a queue during dinners and it's horribly long! 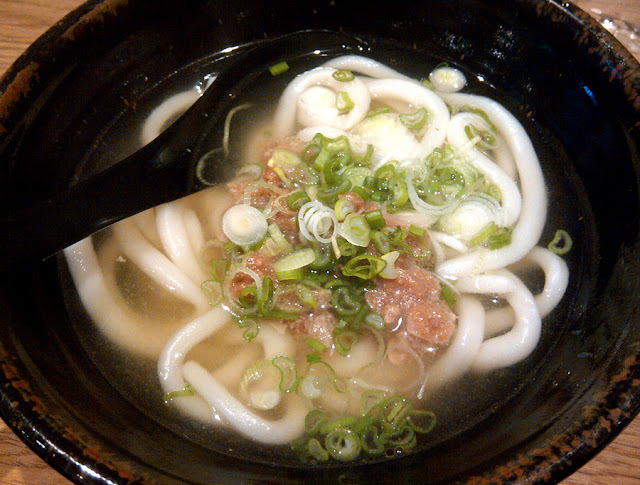 People are willing to queue an hour just to have this awesome bowl of udon. 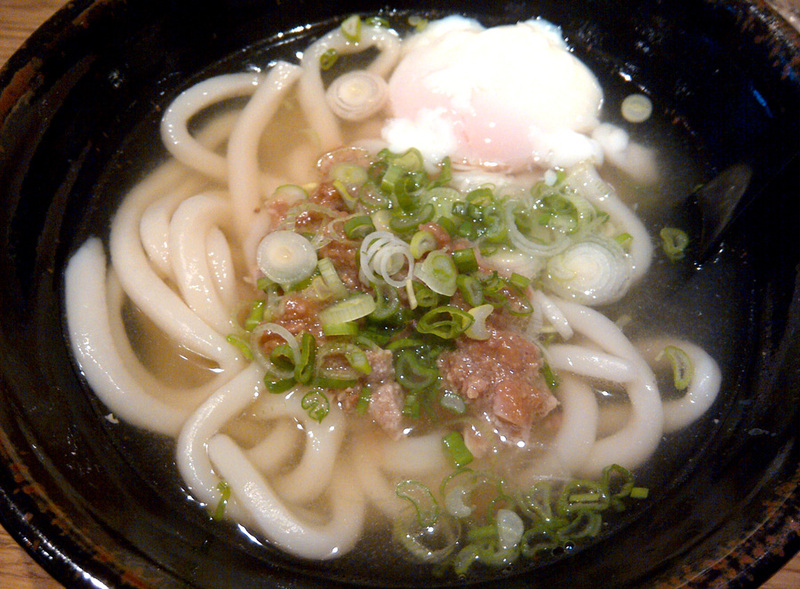 This is a bowl of hot udon in hot broth, the pork and miso. Looks simple isn't it? Remember to order an extra topping, the poached egg. Before mixing it, try a spoonful of soup first and mix it after and you'll get why I like it so much. It makes a difference, really. Foodwise? We were spoilt with choices... We had the sudden urge to order everything.. 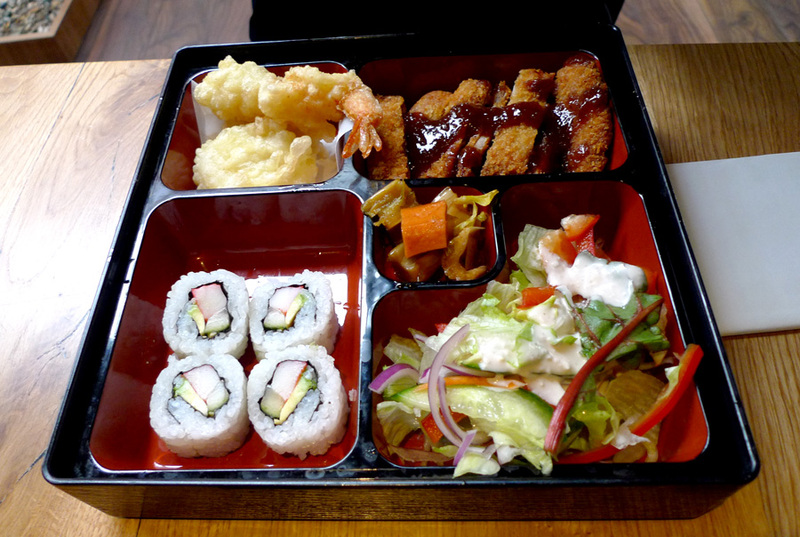 The lunch sets are pretty reasonable, ranging between £6 - £12. 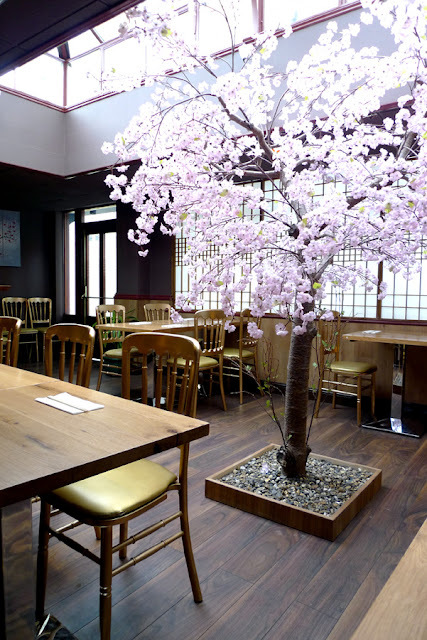 The normal menu, with more choices are slightly higher in price, but still OK. A plate of sushi would cost about £3+-. I have been craving for a green tea latte for ages! For some reason, I can't seem to find it in Starbucks UK anymore. 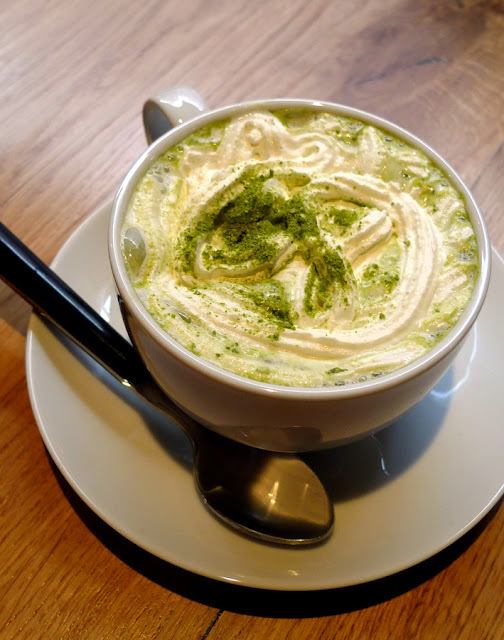 So anyway, I ordered their green tea latte... Surprisingly it was actually good... 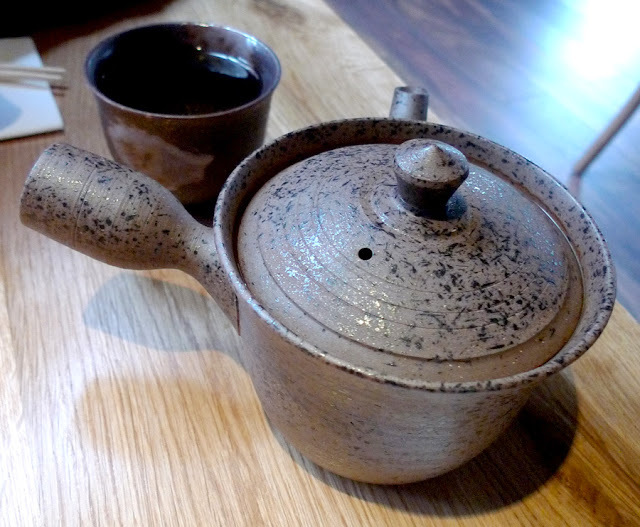 The green tea was strong and the whole cup is not sweet, unlike Starbucks's. Starbucks green tea latte is actually extremely sweet! This cup of latte could be a little better if they can improve on the taste of the green tea. Well, I'm not saying I cannot taste it at all, I just feel it should be stronger. Also, it's a little too diluted, I like it thick. Tai sushi. Properly done actually. You know how some places actually slice the fish really thinly or too much of rice? Surprisingly, it was worth the £3.20! 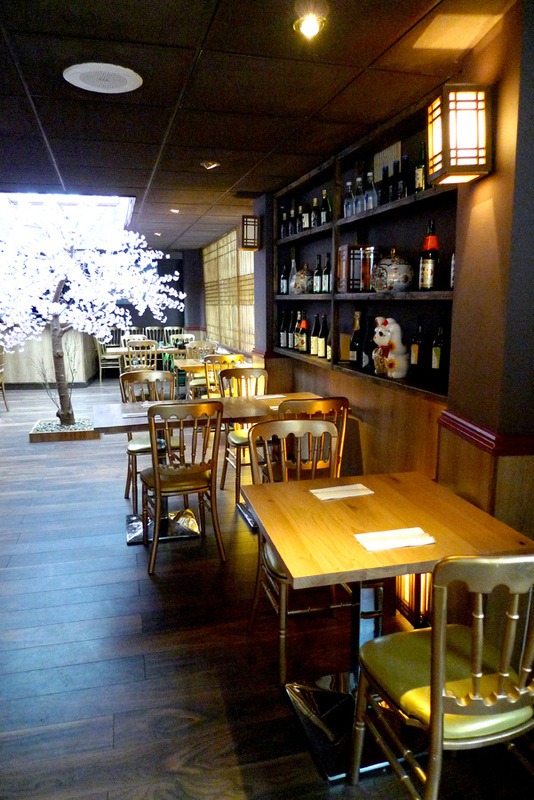 It's very fresh and perfectly done (and cheap!!). The udon set, which I expected it to be fried udon. It turned out to be udon soup... Gah, never mind. Obviously they are not specialized in udon, unlike Koya (oh dear I thought I have already written about it but I haven't. Soon, soon). Koya's udon are freshly made which is nothing compared to this one. Overall, I'd say it's OK, nothing to shout about... But it was really cheap to have such huge set for only £7.50!! 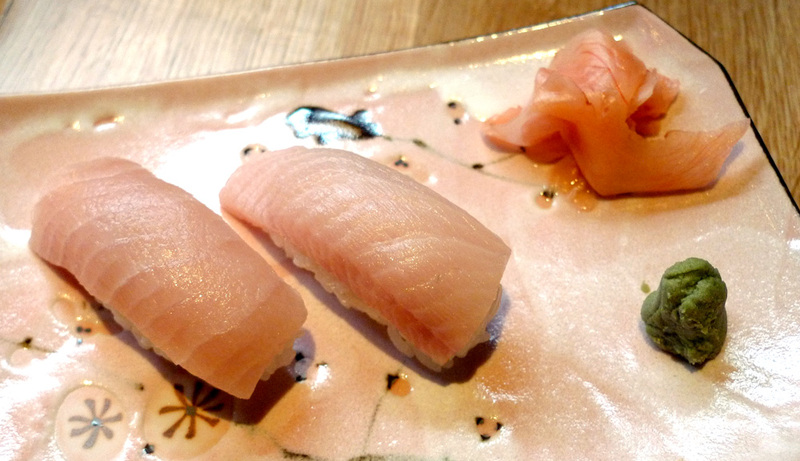 As I've mentioned, the sushi's pretty good too. We ordered the Katsu Chicken Set but they made the wrong thing and served the Katsu Bento instead. Not too bad, the chicken katsu was freshly made, thinly battered, thin piece of chicken katsu served with plum sauce. I'm not really a fan of plum sauce so I'd say it's better off without the sauce.